The mobile payment landscape just got a little more crowded. Zelle, formerly known as clearXchange, is a new app that offers free person-to-person payments. The service, for Android and iOS users, is backed by more than 30 American banks, and will directly rival popular existing payment apps like Venmo, Apple (AAPL) Pay and Square Cash. Though the standalone app has only been available since Tuesday, customers have been able to make payments using Zelle through their bank's app or website since June. So what makes Zelle different? For one thing, convenience. You don't actually have to sign up for the service and enter your bank account information, and then make sure all your friends and family members do, too. You and most people you know probably already have access to it because it's set up to work with your checking account at a participating bank. Have an account with Chase? Bank of America? Wells Fargo? You've got Zelle already. Banking apps or websites have traditionally allowed for money transfers in various forms, but they often required you to provide them with the account information of the person you wanted to send money to. Sometimes enrollment was required by both parties, and transactions could take a couple of days in some instances. Plus, it wasn't always an option if you didn't share the same bank. With Zelle, you can transfer funds from your checking account to another person's in minutes. All you need is that person's email address or phone number. Zelle will automatically send that person a text or email with a link saying that they have a payment waiting for them. All they need to do is accept. You can also request funds from another person. Zelle claims to be safer than other mobile payment systems, because it eliminates the need to enter bank account numbers. "When we write checks ... we freely hand our personal information to someone where that information can be compromised," says Lou Anne Alexander, the Group President of Payments at Early Warning, the company behind Zelle. With mobile banking apps such as Zelle, the only information being exchanged is a phone number or email address, which Alexander says people are more prone to sharing. Zelle has some serious competition in the mobile marketplace. Venmo is already highly popular among Millennials, boasting $17.6 billion in mobile transactions last year. 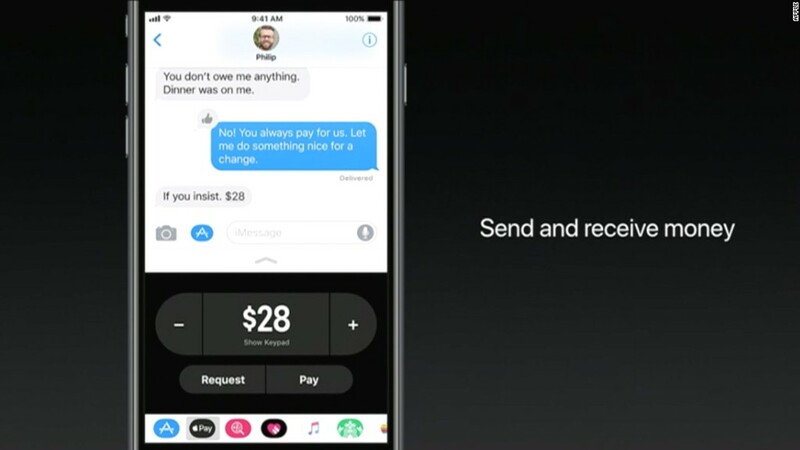 Square Cash allows for free instant transfers as well. By and large, however, Americans have been slow to adopt mobile wallets, favoring traditional cash and credit cards instead. Zelle hopes that the convenience of not having to enter account information, and confidence that their personal information is being protected by a bank they already use, will compel consumers to choose the service over a competitor. The company is also excelling in the business-to-consumer arena, as companies such as Allstate insurance are accepting the payment via the app for fast money transfers. "If you've wrecked your car and need money very quickly so that you can go to work, getting money out to consumers [via Zelle] is quick and easy," Alexander says. Right now, most payment apps are being used by the millennial demographic, specifically those who live in large urban centers. Zelle is growing by 50,000 new customers per day, and already sees a greater adoption among older members, according to Alexander. The company hopes to expand to more financial institutions in the United States, potentially reaching as many as 86 million customers. "We are definitely seeing mobile payment moving from millennial to mainstream," Alexander says. "Safety and soundness is what we believe consumers are looking for."